Stuart Marlantes helping setup for a river shoot. 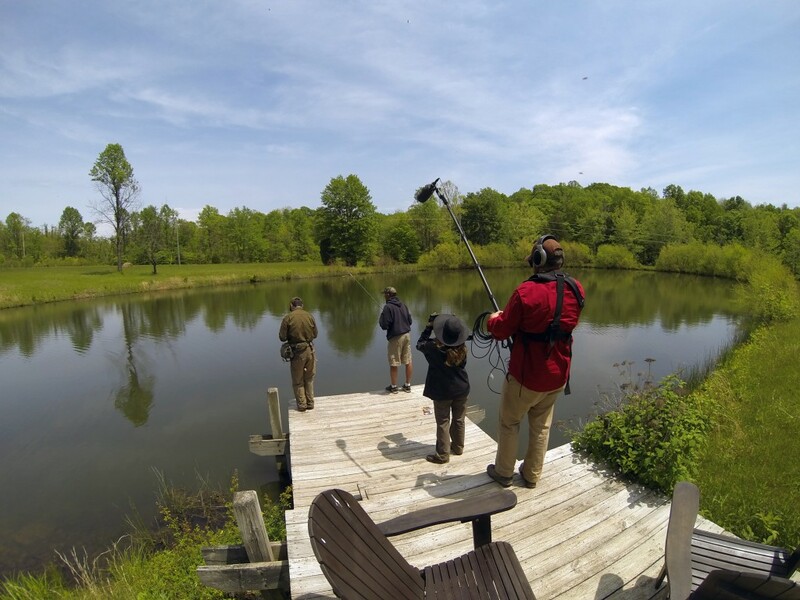 When alum Ken Baldwin (B.A., 1984) called the Department of Communication to see if we had a student that would be interested in flying to Kentucky for a week to help produce an episode of his fishing show “Season on the Edge,” we knew they would be in for a serious adventure. Baldwin, who played football while at the UW, traded in catching footballs for catching fish and is now shooting the second season of his hit fishing show, set to air January 2015. The 30-year fisherman showed off his skills in Season 1, which made its debut on NBC Sports and re-airs on the World Fishing Network, and in Norway, Sweden, Russia, Italy, and Brunei. When not being a guide and photographer for a resort in Alaska, Baldwin is heavily involved in the film industry – and even took up salsa instructing while making ends meet as an actor in L.A. years ago. He met with students during the first CK Career Exploration trip in February 2013. Headed out for an individual career exploration of his own was (now graduated) Stuart Marlantes, who is not new to adventure photography. 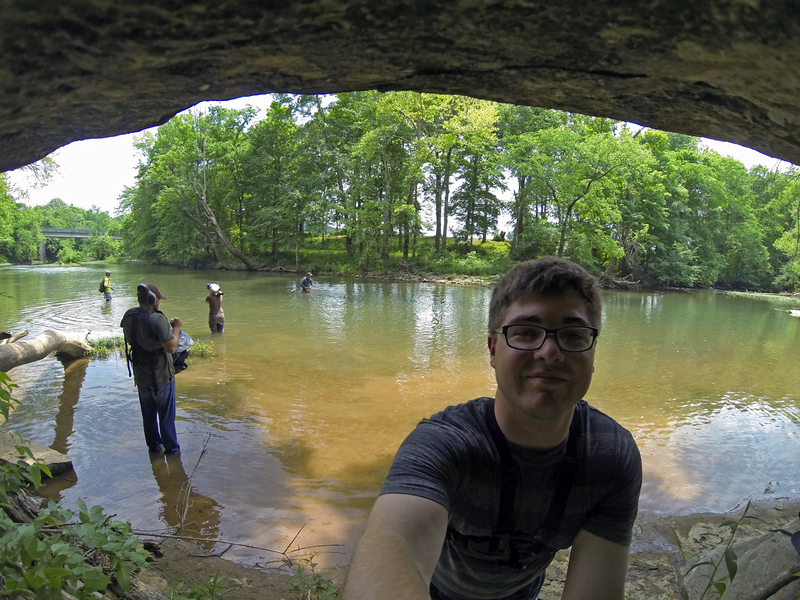 Marlantes takes his photography and video work underwater and to thrilling heights, but a week in Kentucky being a production assistant for a fishing show would certainly be something new. Marlantes shot more than 1,000 photos a day while in Kentucky, and moved into a production role of supporting the main camera operators. He also developed an organization system within the first couple of days to handle the hundreds of gigs of data they were all producing to be sent to editors. The crew often worked 12-hour days, the longest reaching 16, but it is important to Baldwin that the show features the culture of each destination in addition to adventurous fishing. Marlantes took about 10,000 photos in one week while he was in Kentucky. Here is one from behind the scenes. Having never been east of New Mexico (except for a conference in Tennessee once), Marlantes got to experience a different part of the country and see some “scarily large fish.” He said the craziest moment was going out on a powerful bass fishing boat that could hit 70 mph on the water. Oh, and he didn’t have a seat. Despite some aches and pains, Marlantes managed to not drop his camera in the water all week and he gained confidence going forward with his own work. While he may not be the biggest fishing fan in the world, Marlantes said he proved to himself that he can do the long hours and come out with some great shots no matter the subject matter – and he caught five fish on the trip, which counts as a fishing success in our books.